Creating a long-term, stable EU energy policy is now a high priority for decision makers across a myriad of industries. Europe's continued dependence on foreign oil has left it increasingly vulnerable to market instability and geopolitical disputes. And unfortunately, this isn't a new situation. For decades, Europe has relied heavily on imported oil and gas, even as oil prices and supplies grew increasingly unstable. Meanwhile, air quality issues have grown more worrisome, creating pressure for new, clean energy solutions. However, for decades, many European countries have made air quality a priority. As a result, today the EU has some of the highest environmental standards found anywhere in the world. The advantages have been many: a more environmentally friendly economy, protection of natural resources, and safeguarding of public health and wellbeing. But continued dependence on foreign fuel sources is putting this standing at risk. 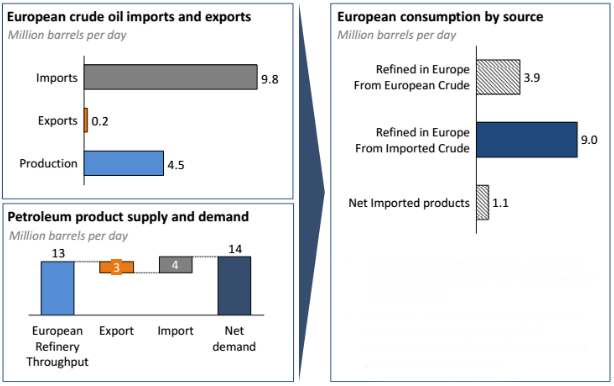 Over 75 percent of Europe's crude oil imports come from regions of the world plagued by political instability, according to the World Bank Metrics and European statistics. That puts Europe's crude oil supply in a perpetually vulnerable state, raising havoc with energy security. Russia is one of the biggest sources of those energy imports, with some European countries relying on it completely for their natural gas. Overall, about one-third of natural gas supplies come from Russian energy titan Gazprom, which provides Moscow with significant revenue from its sales of gas to Europe. Despite this relationship, Moscow and the EU continue to clash over a whole host of geopolitical disputes, including the civil war in Syria. The fallout is real. In 2006 and 2009, Gazprom stopped shipping fuel through the Ukraine, leaving some countries out in the cold. The situation has left EU authorities scrambling for lasting solutions to the energy problem. Fortunately, part of the EU energy security strategy focuses on long-term solutions. One such solution is to increase energy production at home, particularly of renewable and sustainable fuels. Hydrogen fuel cell technology fits the region's need for sustainable energy while also creating economic and local advantages. It offers a clean, renewable fuel that is not tied to the volatile oil market. The groundwork has already been laid. Europe is already achieving a measure of success with fuel cell electric buses and hydrogen fuelling infrastructure. As a result, the region is now considered a global leader in the area. That domestic success could be used as a springboard for creating export opportunities. Doing so would move the European Union energy policy away from foreign oil imports toward domestic renewable fuel exports. Already, Norway is developing a pilot project for exporting sustainable hydrogen to Japan. Pursuing a solution that includes renewable hydrogen as an energy source could result in multi-pronged economic rewards. In addition to the potential for exports, public health costs could diminish under a scenario of zero-emission buses. The public health cost of urban diesel buses is estimated to climb to a staggering 5,300 Euros per bus over the next eight years. But if just 2,000 zero-emission buses were deployed during that time, health cost savings compared to continued use of diesel buses could reach 10.6 million Euros over the life of the buses. And that isn't the only advantage. 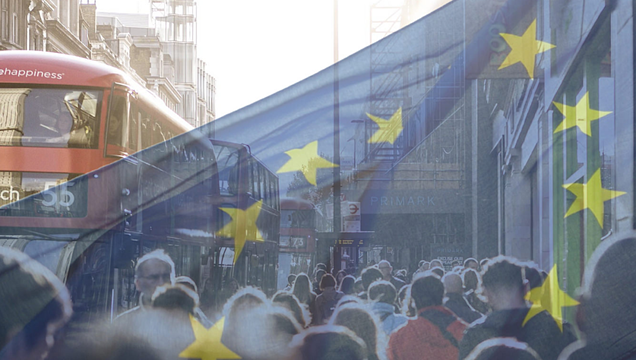 As more European communities make the switch to fuel cell electric buses, the demand for locally produced vehicles and renewable hydrogen will grow. 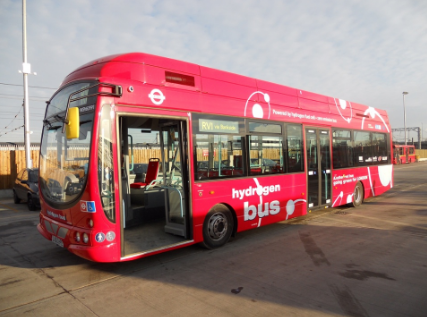 This will lead to increased local jobs in the production and distribution of hydrogen, bus manufacturing as well as from other components of a growing infrastructure, without creating more local pollution. Europe has the building blocks already in place to move toward energy security with a greater use of domestically produced renewable hydrogen. The key is developing an EU energy policy that supports domestic production of this clean, renewable fuel source. The result would not only be less reliance on foreign oil and more stable energy security, but cleaner air, improved public health and the creation of new jobs. To learn more about the significant economic benefits of fuel cell electric buses in Europe, download our free white paper below. How can hydrogen benefit your local community and economy? 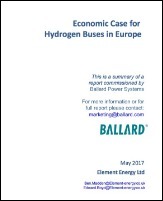 Find out in this free white paper: Economic Case for Hydrogen Buses in Europe.